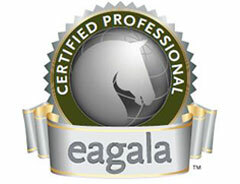 Could the EAGALA Model of Equine Assisted Psychotherapy help your clients? Do you have clients who are ‘stuck’ and no longer making progress? Do you have clients who are reluctant to talk through their experiences? Do you have clients who close up in an office environment? Do you have clients who are reluctant to engage in counselling but need help to learn more adaptive behaviours? 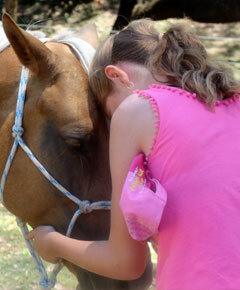 Equine Assisted Psychotherapy (EAP) may be the catalysts to change you’ve been looking for. EAP provides an evidence based alternative to traditional “talk therapy”. EAP is an experiential treatment modality which challenges clients to actively engage in the process of finding their own solutions. Horses provide immediate feedback to clients regarding their body language, emotional regulation and the impact of their actions. EAP offers powerful and memorable learning opportunities that come through exploring the clients own thoughts, feelings and behaviours, through natural consequences, failures and successes. The EAGALA Model of Equine Assisted Psychotherapy is an experiential, solution-focused therapeutic modality with key integrated theoretical orientations of CBT, Reality Therapy, Gestalt Therapy, Brief Therapy and Systems Theory. All session are facilitated by a team consisting of an EAGALA certified mental health professional and equine specialist, which another professional can join while working with their client. If you would like to discuss how we can work alongside you for the benefit of your clients, please call us or provide your email address via the “Contact Us” page and we will be sure to contact you.